In March 2018, Accace Poland launched new campaign at the office: “Collect wastepaper, save horses”. 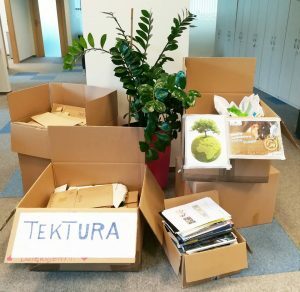 We collect waste paper in our office: cardboard, books, periodicals, paper, packaging etc.. Until the end of May we managed to collect over 100 kg. All Accace employees in Poland are engaged in the campaign and are aware that waste paper can be reused 7 times as a raw material for further paper production. The aim of the campaign is also to collect money from the sale of waste paper and transfering to Gaja Club (Ecological and Cultural Association Gaja Club) – polish environmental organization that is focused on environmental protection. In Poland, there is about 42.000 horses intended for slaughter. Some of them are sold abroad spent long time in a trips that cause wounds and huge stress. Long transport causes anxiety, suffering and even death of this animals. Gaja Club spend money for repurchase of those horses, maintenance, treatment, therapy, medicines and veterinary care for them . Gaja Club saved already 60 horses from slaughter, sick horses or those whose owners couldn’t any longer to deal with. On behalf of Gaja Club, we would like to encourage everyone to join the campaign. Together we can do more and more effectively!